People facing criminal charges or suffering from a personal injury in Rome, Georgia, may wish to seek legal representation. The Bratcher Firm understands the strong emotions that often occur when people face criminal charges or suffer an injury caused by another person’s negligence. Our law office handles a wide range of cases involving traffic violations, DUIs, drug charges, probation, civil asset forfeiture and appeals. In addition, our law office assists those who have been in automobile accidents, large truck collisions, slip and fall incidents, workplace accidents, nursing home abuse, motorcycle collisions, and wrongful death cases. Our experienced team leaves no stone unturned when it comes to getting our clients the compensation they deserve. Founding attorney Stewart Bratcher is a mentor in the State Bar of Georgia Transition Into Law Practice Program. He is also admitted to the Georgia Court of Appeals, the Georgia Bar, the Georgia Supreme Court and the United States District Court for the Northern District of Georgia. 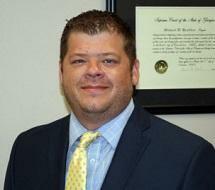 Mr. Bratcher has over 11 years of experience prosecuting criminal cases, giving our law office a unique advantage when defending his clients. During a free initial consultation, we will carefully listen to the details surrounding the incident. We then partner with our clients in examining evidence and developing a solid defense. We serve clients in Rome, Summerville, Cedartown, Cartersville and Calhoun, as well as throughout Bartow, Polk and Gordon counties.